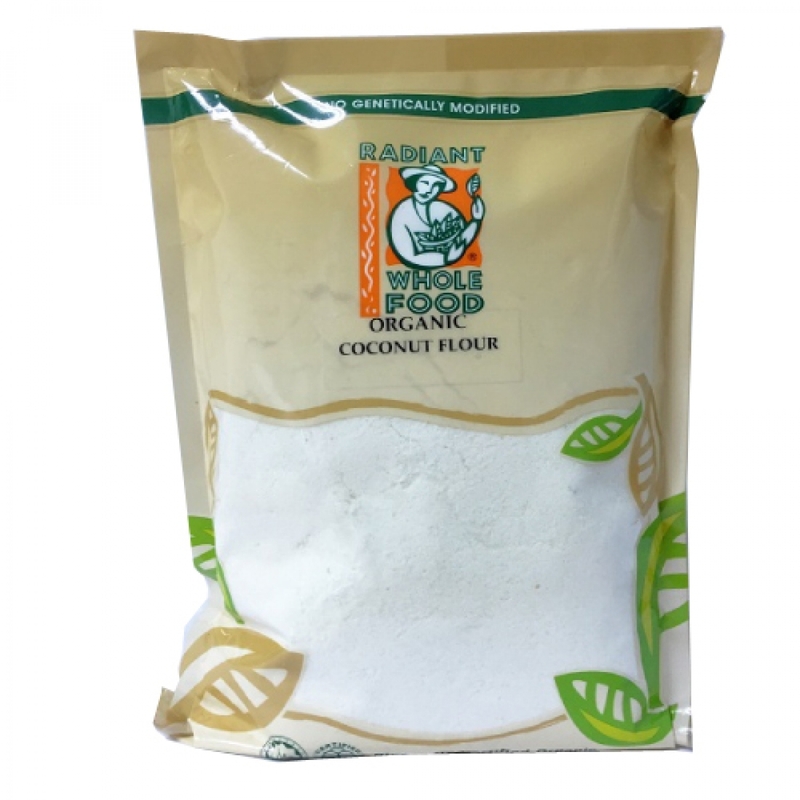 Radiant Organic Coconut Flour is produced by grounding from dried, defatted coconut meat. This flour is made on traditional mill stones which protect nutrients and enzymes of the flour and retain the goodness of the whole grain. This flour is stored in a controlled temperature warehouse at 10°C for insect control and freshness. Organic coconut flour is a delicious, healthy alternative to wheat and other grain flours. Good for baked goods and can be used as a partial replacement in any recipe calling for regular flour. For baking and cooking, substitute 10—30% of regular flour for coconut flour to add extra fiber. Some recipes can be made with 100% coconut flour. It is light and soaks up moisture and suggest to add more liquid or eggs to recipes.